“Pray to the Sto. Niño that it will not rain,” said Cebu City Mayor Michael Rama, as heavy rains drenched the city on the eve of its fiesta and the Sinulog grand parade. But rain or shine, consider everything an offering to the Sto. Niño, he said. “Expect a lot of fascination and excitement,” he added. As of Saturday morning, the organizers were putting the finishing touches on the Sinulog stage, which will showcase a Chinese garden and a Chinese temple, in keeping with this year’s theme. 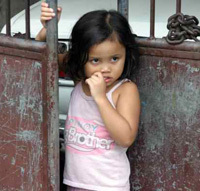 The organizers appealed to the public to be patient with the traffic jams and the tighter security in place for President Benigno Aquino III’s visit. President Aquino is expected at the Cebu City Sports Center at 10 a.m. in time for the opening of the Sinulog grand parade. He is also set to deliver a speech. 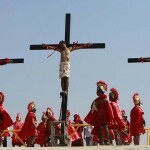 Fiesta crowds were advised to brace for a longer parade since the number of contingents has increased by 10. There are at least 151 contingents who will be competing for the top purse Sunday in the different categories. At least P4 million in total cash prizes are at stake today, Sunday. All the winning contingents will perform again in Monday’s awarding ceremony, still at the Sports Center. 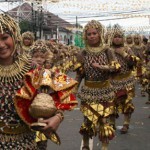 Sinulog is an anual festival at the third weekend in January. 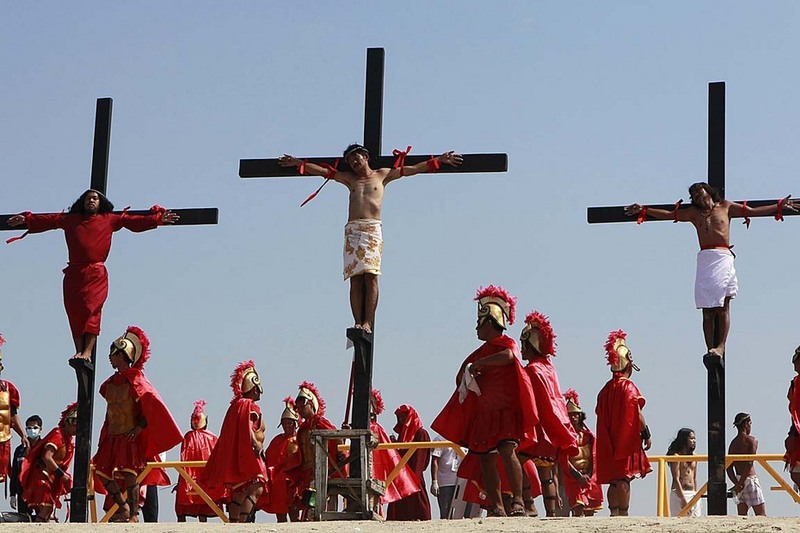 This festival in Cebu City takes place to honor the Santo Niño, or the child Jesus, who used to be the patron saint of the whole province of Cebu. The highlight is the colorful street parade on Sunday. The participants with splendid costumes dance to the rhythm of drums, trumpets, and native gongs. 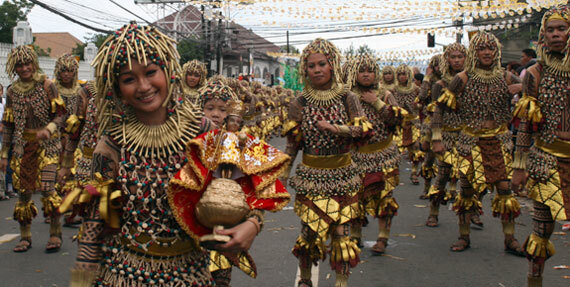 Smaller versions of the festival are also held in various parts of the province, also to celebrate and honor the Santo Niño. At the end of the street parade, the participating groups get into the Cebu Sports Complex. Inside the stadium, they tell stories with their dances on stage, where of course is the focus of Santo Niño. In the night there is a big fireworks. The best groups will be awarded.